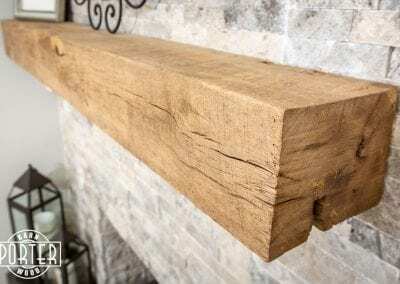 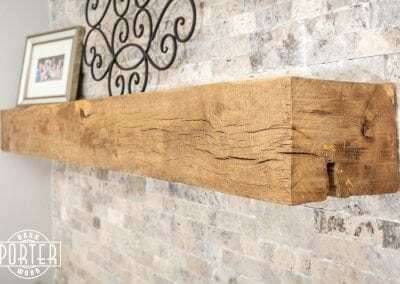 This reclaimed oak beam was french cleated on the back for it to hang flush against the stone. 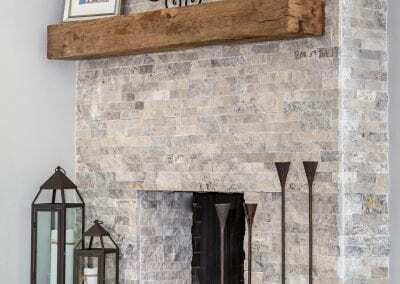 It was installed by our sister company Bjorn Company. 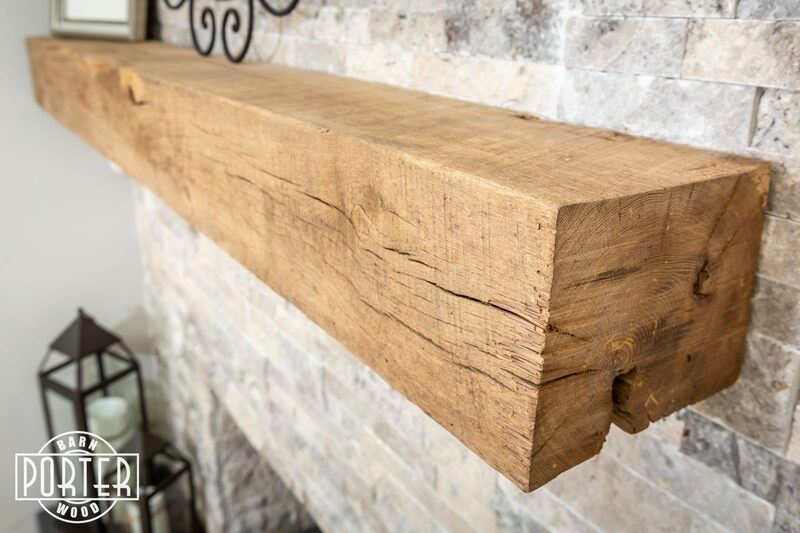 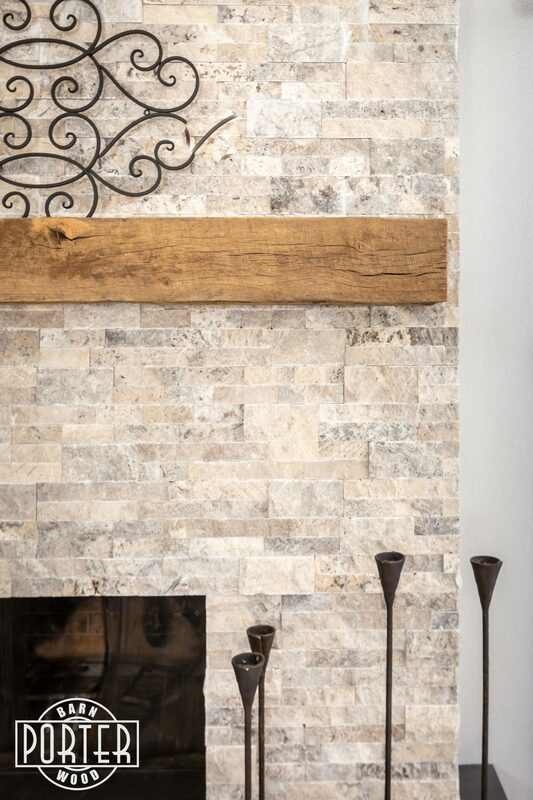 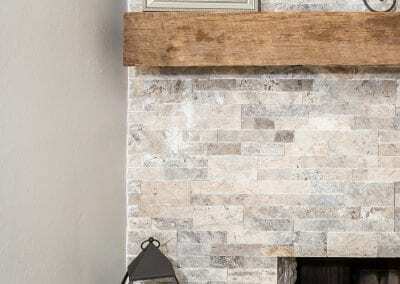 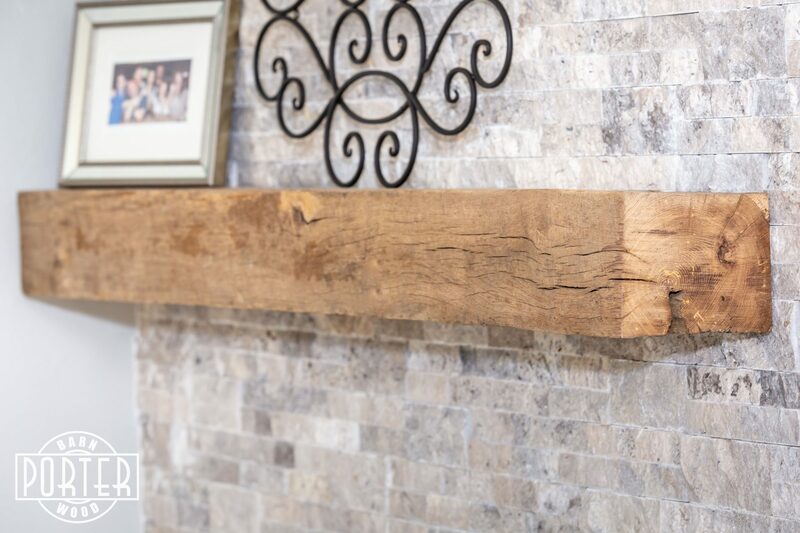 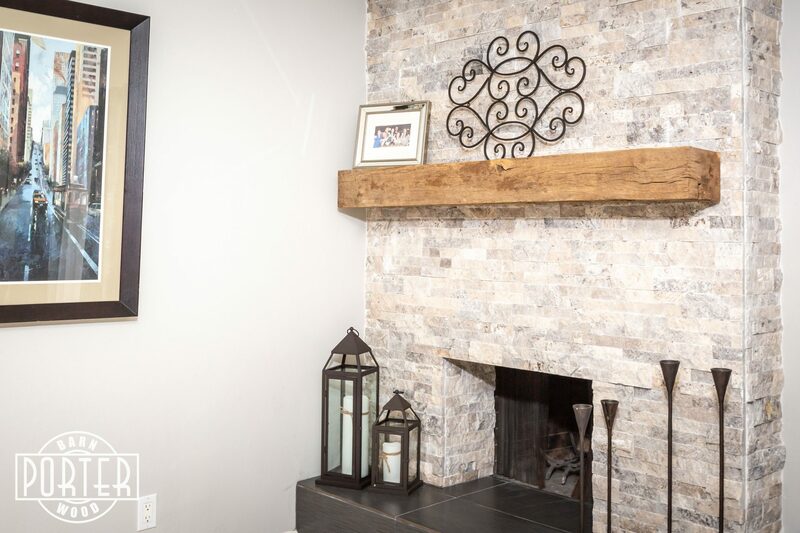 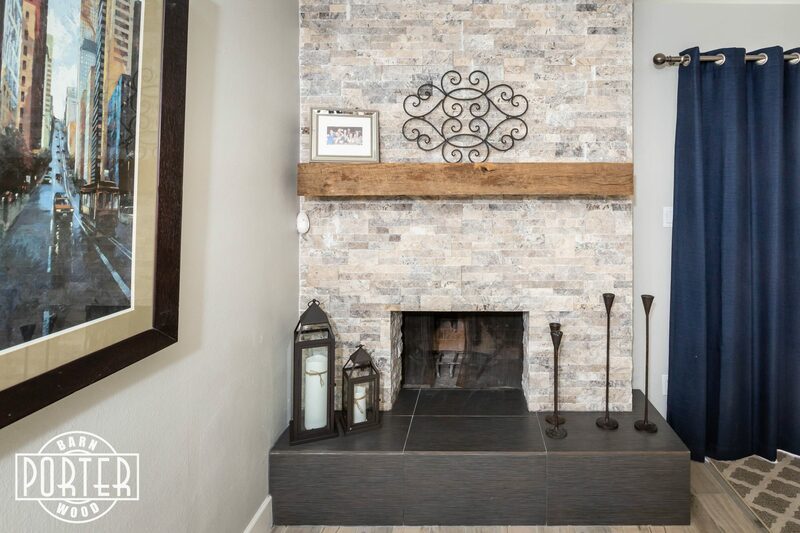 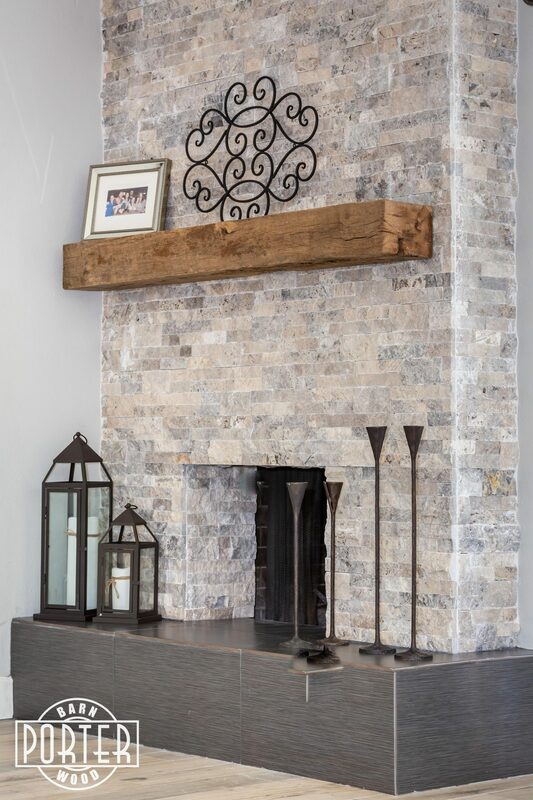 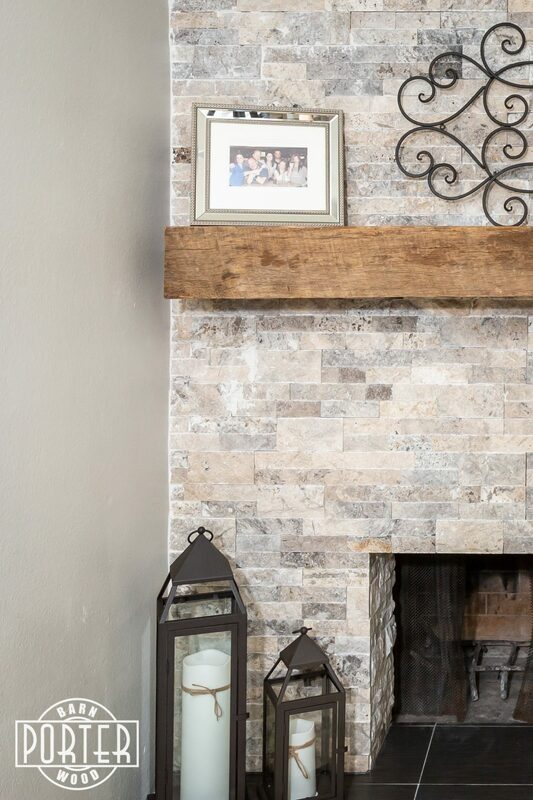 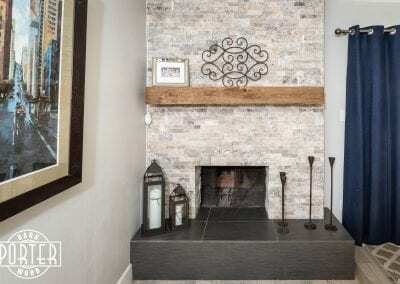 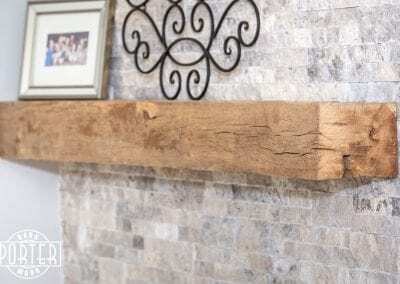 We have many reclaimed beams that can be turned into mantel for your fireplace. 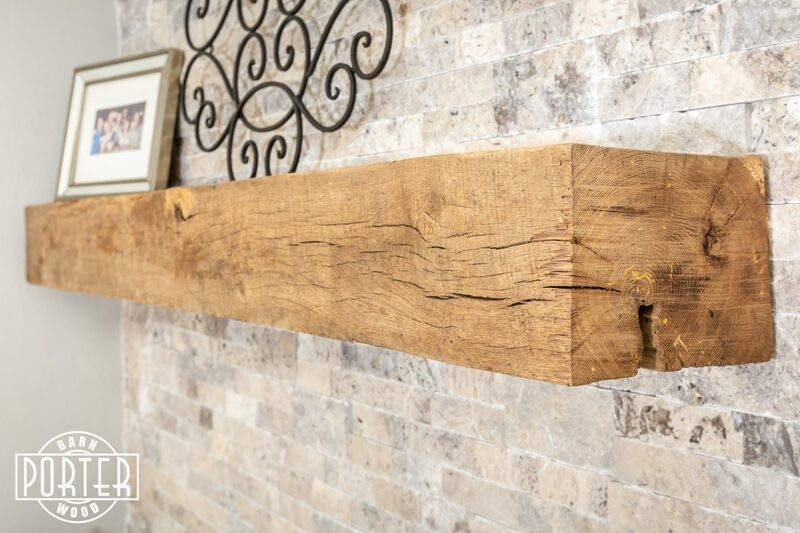 We can ship if you are not local. 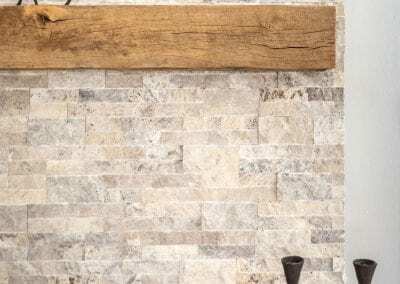 Submit your request below if you would like a quote for something similar. If you are looking for something different we can certainly help with that too.